Threshold an image using the RenyiEntropy Threshold. This filter creates a binary thresholded image that separates an image into foreground and background components. The filter computes the threshold using the RenyiEntropyThresholdCalculator and applies that threshold to the input image using the BinaryThresholdImageFilter. Richard Beare. Department of Medicine, Monash University, Melbourne, Australia. Definition at line 52 of file itkRenyiEntropyThresholdImageFilter.h. Definition at line 95 of file itkRenyiEntropyThresholdImageFilter.h. Definition at line 63 of file itkRenyiEntropyThresholdImageFilter.h. Definition at line 94 of file itkRenyiEntropyThresholdImageFilter.h. Definition at line 81 of file itkRenyiEntropyThresholdImageFilter.h. Definition at line 86 of file itkRenyiEntropyThresholdImageFilter.h. Definition at line 71 of file itkRenyiEntropyThresholdImageFilter.h. Definition at line 85 of file itkRenyiEntropyThresholdImageFilter.h. Image pixel value type alias. Definition at line 76 of file itkRenyiEntropyThresholdImageFilter.h. Definition at line 84 of file itkRenyiEntropyThresholdImageFilter.h. Definition at line 92 of file itkRenyiEntropyThresholdImageFilter.h. Definition at line 73 of file itkRenyiEntropyThresholdImageFilter.h. Definition at line 91 of file itkRenyiEntropyThresholdImageFilter.h. Definition at line 78 of file itkRenyiEntropyThresholdImageFilter.h. Definition at line 90 of file itkRenyiEntropyThresholdImageFilter.h. Definition at line 82 of file itkRenyiEntropyThresholdImageFilter.h. Definition at line 89 of file itkRenyiEntropyThresholdImageFilter.h. Definition at line 72 of file itkRenyiEntropyThresholdImageFilter.h. Definition at line 88 of file itkRenyiEntropyThresholdImageFilter.h. Definition at line 77 of file itkRenyiEntropyThresholdImageFilter.h. Definition at line 87 of file itkRenyiEntropyThresholdImageFilter.h. Definition at line 62 of file itkRenyiEntropyThresholdImageFilter.h. Definition at line 59 of file itkRenyiEntropyThresholdImageFilter.h. Definition at line 61 of file itkRenyiEntropyThresholdImageFilter.h. Definition at line 102 of file itkRenyiEntropyThresholdImageFilter.h. 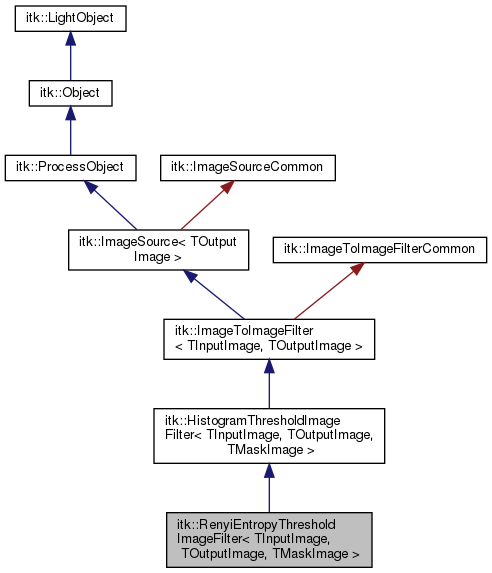 References itk::RenyiEntropyThresholdCalculator< THistogram, TOutput >::New(), and itk::HistogramThresholdImageFilter< TInputImage, TOutputImage, TMaskImage >::SetCalculator(). Reimplemented from itk::HistogramThresholdImageFilter< TInputImage, TOutputImage, TMaskImage >. Definition at line 98 of file itkRenyiEntropyThresholdImageFilter.h. Definition at line 99 of file itkRenyiEntropyThresholdImageFilter.h.